This is a weekend to eat: St. Sophia’s Greek Festival, St. Luke’s SerbFest D.C., St. Andrew’s Romanian Food Festival, Taste of Arlington, Lamb Jam and Taste the World in Fenton Village all promise to add inches to our waists. 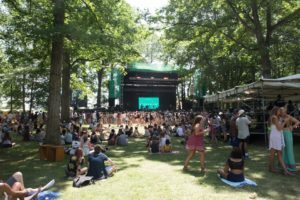 There’s also a big music theme with the Sweetlife Festival at Merriweather Post Pavilion and Watkins Glen Summer Jam at Villain & Saint as well as Cathedral Common’s Spring Fest. Shortcut Europe, the popular European embassies’ open house is also this weekend. Metro plans work on all six rail lines this weekend. Trains will single track between Dupont Circle and Van Ness-UDC on the Red Line with trains running every 18 minutes. Orange and Blue lines will single track between McPherson Square and Smithsonian stations with trains running every 20 minutes. Because of that work, the Silver Line will run every 12 minutes between Wiehle-Reston East and Ballston ONLY. Yellow Line trains will operate every 24 minutes between Huntington and Mount Vernon Square ONLY. On the Green Line, trains will single track between Georgia Avenue-Petworth and Prince George’s Plaza with trains running every 24 minutes. Twenty-eight European Union member states welcome visitors to their embassies for Shortcut to Europe, the annual European Union embassies’ open house. Sample goods from across the pond without the jet lag, stopping at the Embassy of Belgium for chocolate, cookies, fries and waffles; the Embassy of Spain for paella, Iberico ham and bagpipe performances; and the Slovenian embassy for walnut roll cake, apple strudel, regional wines and music demonstrations. Plan ahead because this is a popular event and lines are long. May 14 from 10 a.m.-4 p.m. at European Union embassies in Northwest D.C. Admission is FREE, but make sure you have official identification. Maps are available online and free shuttle buses will be available. 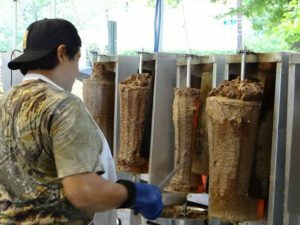 St. Sophia’s holds its annual Greek Festival this weekend with savory Greek dishes such as gyros, pasticcio, tiropita and spit-roasted lamb dinners, as well as Greek pastries, live music dance performances, a silent auction, vendors and more. There will be a tent and indoor seating in case of rain. May 13 and 14 from noon-10 p.m. and May 15 from noon-7 p.m. at St. Sophia Greek Orthodox Cathedral, 2815 36th St. NW. Admission is FREE! Food and drinks are available to purchase. 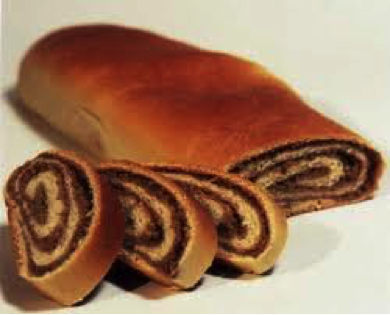 Serbian cuisine, crafts, live entertainment and more are featured at SerbFest D.C. There will be spit-roasted pig and lamb, grilled meats, savory and baked dishes and Serbian pastries and desserts along with traditional entertainment including the D.C. Acoustic Band on Friday evening, Biseri Folklore Dance Group from New Jersey on Saturday afternoon and Zlatne Uste, a Balkan brass band from New York City on Saturday night. May 13 from 5-9 p.m., May 14 from 11 a.m.-9 p.m. and May 15 from noon-6 p.m. at St. Luke Serbian Orthodox Church, 10660 River Road, Potomac. Admission is FREE! Food and drinks are available for purchase. 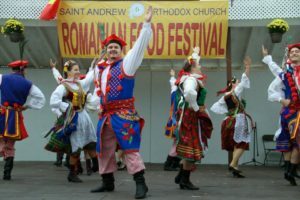 Taste ethnic dishes including mititei, homemade skinless sausages, and sarmale, traditional meat stuffed sausage rolls at the Romanian Food Festival, along with Romanian wines and beer, and homemade pastries from women of the church using recipes passed down from generation to generation. The festival also includes live music, dancing and performances by folk dance groups. Visitors can also pose for photos with roaming historical princes including Vlad the Impaler (aka Dracula) and Stephen the Great. There will be a kids zone filled with a moon bounce, petting zoo, glitter tattoos and more along with a silent auction and raffles. 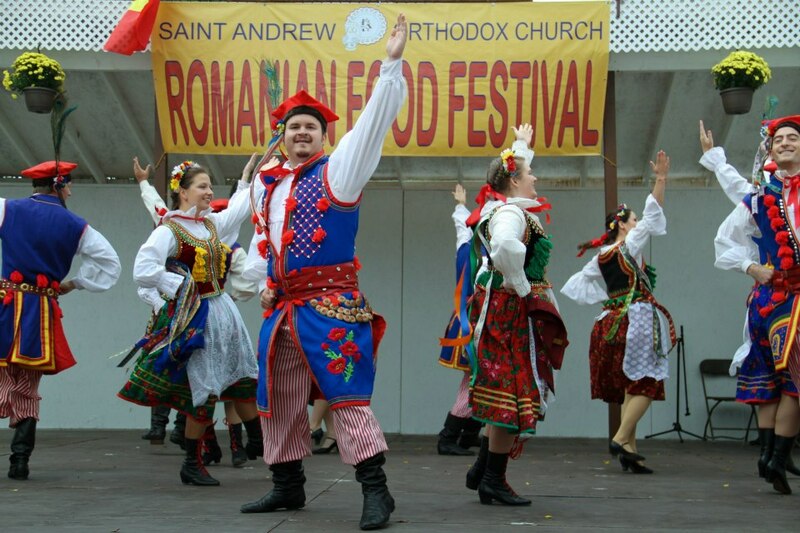 May 13 from 5-8 p.m. and May 14 and 15 from 11 a.m.-7 p.m. at St. Andrew Romanian Orthodox Church, 9111 River Road, Potomac. Admission is $5 for adults and $3 for children. Food and drinks are available for purchase. Turf and Terrain, the Arts in Foggy Bottom Outdoor Sculpture Biennial featuring outdoor sculptures, new media installations and performance art by 14 local, national and international artists, gets underway with a walking tour on Saturday afternoon led by curator Danielle O’Steen beginning at 4 p.m. starting from 842 New Hampshire Ave. NW (look for the yellow house on the corner of New Hampshire and I Streets), followed by a reception at the Watergate Gallery, 2552 Virginia Ave. NW. On Sunday evening, artist Eames Armstrong performs Fog along the Turf and Terrain trail, writing with water on brick sidewalks. 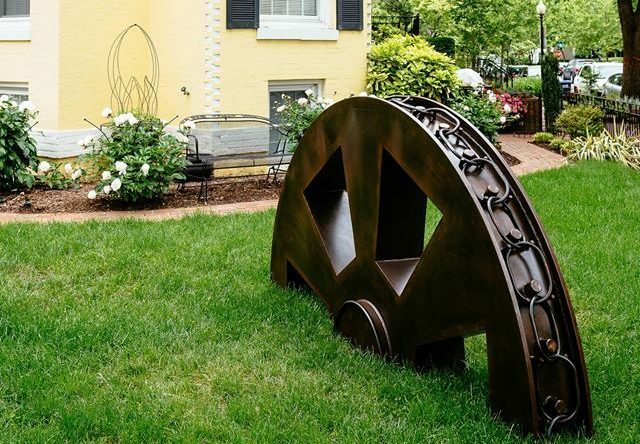 May 14 through Oct. 22 in the Foggy Bottom Historic District, mainly along I, 25th and 26th Streets. Admission is FREE including the guide tour and reception. A map of the exhibition is available online. 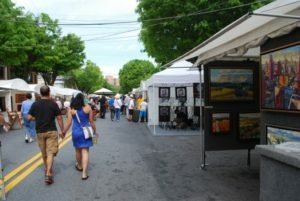 The Bethesda Fine Arts Festival features more than 130 booths featuring fine art and fine craft along with live music including Eric Scott, Justin Jones, Wes Tucker & the Skillets, Mary-eL and Sweetnova. 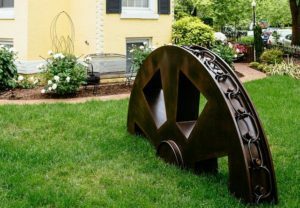 National artists from nearly 25 states and Canada will showcase painting, drawing, photography, furniture, jewelry, mixed media and ceramics. 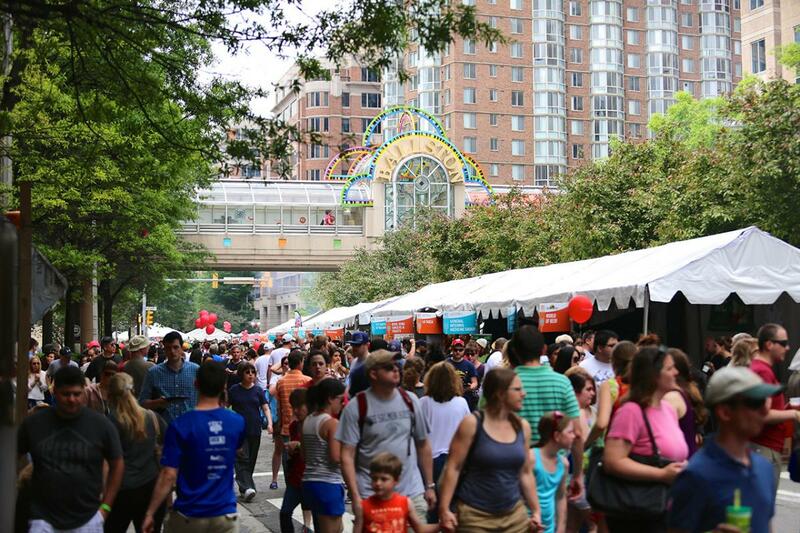 A children’s activity area will be set up on Auburn Avenue from 11 a.m.-4 p.m. both days. Bethesda Curry Kitchen, Haagen-Dazs, Mamma Lucia, Smoke BBQ and Yamas Grill will be selling food. 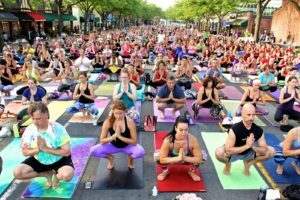 May 14 from 10 a.m.-6 p.m. and May 15 from 10 a.m.-5 p.m. along Auburn, Norfolk and Del Ray Avenues Avenues in Bethesda. Admission is FREE! One of the region’s biggest music festivals has scaled back from a weekend-long bash to a single-day affair. 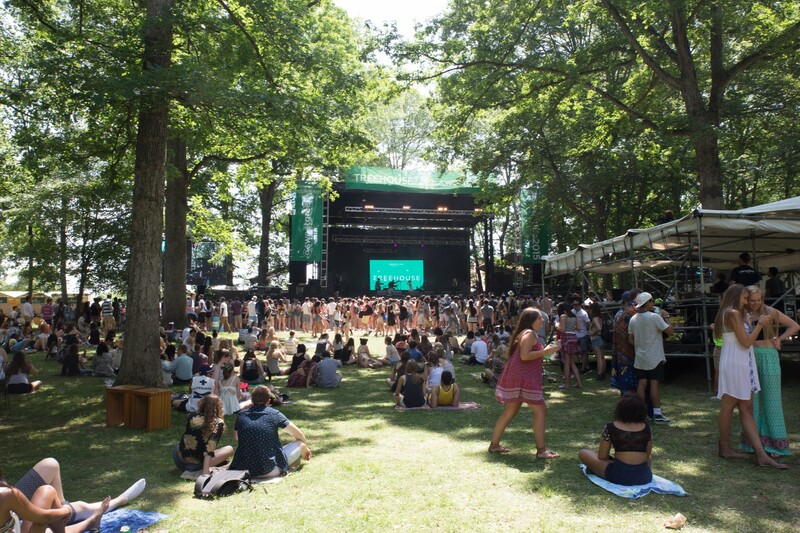 That means the Sweetlife Festival is cramming 14 acts into an all-day outdoor jam, from polarizing headliners The 1975 and Halsey to gender-bending Shamir — who might remind you of Prince — and rapper-on-the-rise Vince Staples. Also in the mix: new-wave veterans Blondie and Eagles of Death Metal, the band onstage when terrorists attacked the Bataclan in Paris last fall. The full schedule is online. Concertgoers will be well fed, too, with the namesake sponsor, Sweetgreen, joined by Little Sesame, Luke’s Lobster, Crepe Love, Buredo and the Big Cheese and Pepe food trucks, among others. May 14 from noon-10 p.m. at Merriweather Post Pavilion, 10475 Little Patuxent Parkway, Columbia, Md. Tickets are $100 for general admission and $125 for pavilion seating. 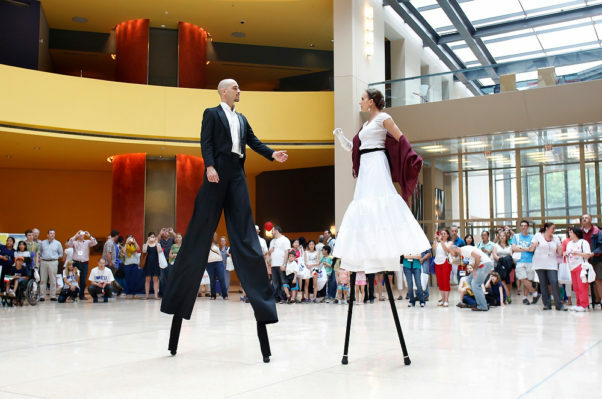 Spring Fest by Art Soiree combines art, music, family-friendly fun and food. Stroll the streets and listen to live musical performances, peruse local art vendors, taste food and beverages from neighborhood restaurants and enter for a chance to win prizes and giveaways from area businesses. At noon there will be an open air workout (take our mat and join in), at 12:45 p.m. Miguelito Flamenco Band & Dancers perform followed at 2 p.m. by Kiss & Ride Band, the Tara Hendricks Band at 3 p.m. and Joi Carter at 4 p.m. Food tastings from area restaurants include grande paella from Barcelona Restaurant & Wine Bar, dumplings from Raku and mini burgers from Café Deluxe along with samples from Giant. More than 30 vendors will be selling their wares. May 14 from noon-5 p.m. at Cathedral Commons, 3401 Idaho Ave. NW. Admission is FREE, but RSVP to be entered into a drawing for more than $3,000 worth of gift cards, gift certificates, memberships and tickets. 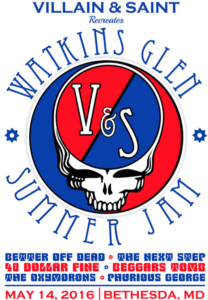 The Watkins Glen Summer Jam pays tribute to one of the greatest jams in rock history – The 1973 Watkins Glen Summer Jam. Forty-three years ago, thousands of music fans abandoned their cars, running far and fast to commence upon Watkins Glen Grand Prix Raceway for infamous rock festival. 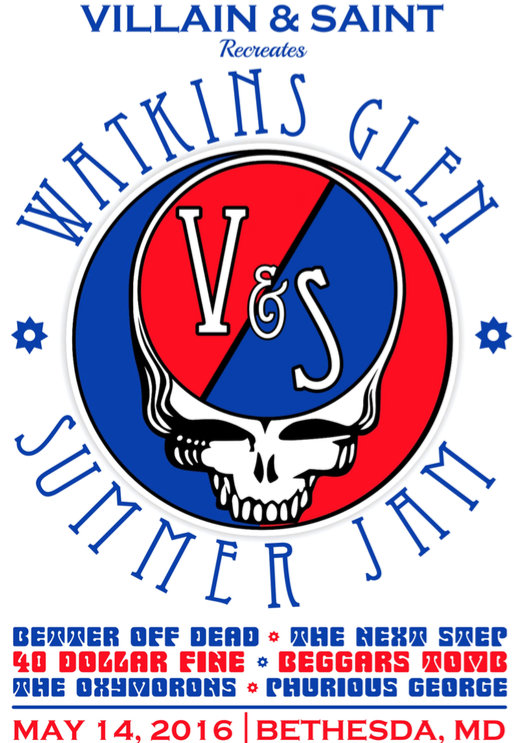 Situated just outside of Watkins Glen, New York, the festival once received a Guinness Book of World Records entry for, “Largest Audience at a Pop Festival.” It is a day full of rock ‘n’ roll headlined by Forty Dollar Fine covering The Band, The Next Step covering the Allman Brothers and Better Off Dead covering the Grateful Dead. 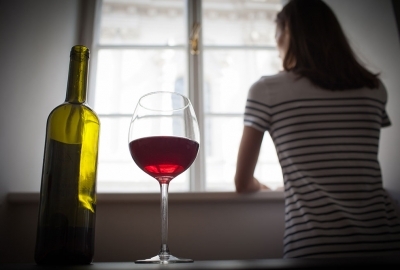 There will also be craft beer list, classic cocktails and gastro pub and grilled fare. A pre-show party will be held outdoors with a whole pig roast, burgers and more on the BBQ pit, raw oysters, and local beer from DC Brau, Jailbreak and Duclaw. Local bands Beggars Tomb, Too Much for Todd and The Oxymorons will provide music at the pre-party. 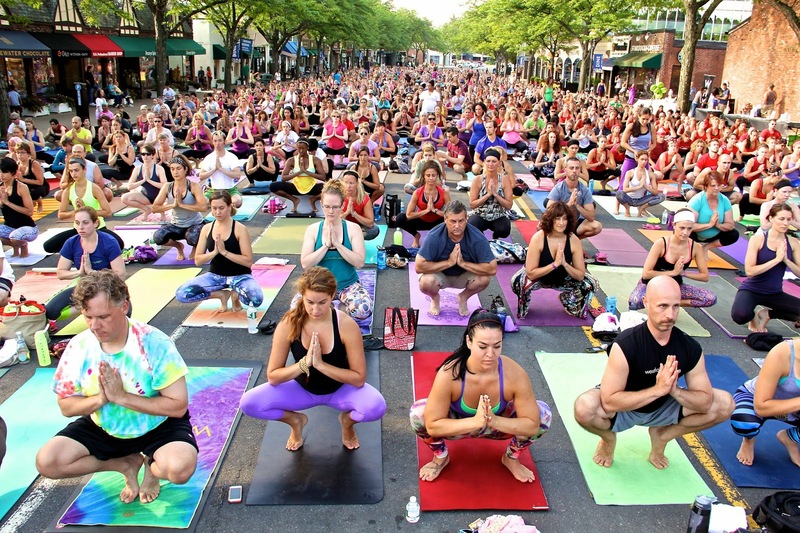 May 14 starting at 6 p.m. at Villain & Saint, 7141 Wisconsin Ave., Bethesda. Ticketes are $30 in advance or $35 at the door. The pre-party is from noon-6 p.m. at the Farm Women’s Market, 7155 Wisconsin Ave., Bethesda. Admission to the pre-party is $5. The Taste of Arlington, now in its 29th year, turns busy Wilson Boulevard between North Taylor and North Randolph streets in Ballston into a pedestrian-friendly affair with two concert stages, a dog park, and carnival games. Bands include the Kelly Bell Band, Lost in Paris, the Lost Growlers, Huntly and White Ford Bronco among others. The main attraction is food from more than 40 area restaurants, including regulars Northside Social, Fuego, the Liberty Tavern and Circa, alongside newcomers such as Yona, SER, Gaijin Ramen Shop, Pepita Cantina, Texas Jack’s Barbecue and Barley Mac. The Deschutes Brewery traveling pop-up Street Pub, which includes a 400-foot bar with more than 60 taps flowing with regulars and rarities from the Oregon brewery. May 15 from noon-6 p.m. on Wilson Boulevard in Ballston. Admission is FREE, but a taste book package costs $35, BarkPark entry is $5 and KidZone book for games is $15 in advance and $40, $10, $20 respectively at the gate. The taste book includes 10 tickets for food and drink. The street pub is open until 7 p.m. 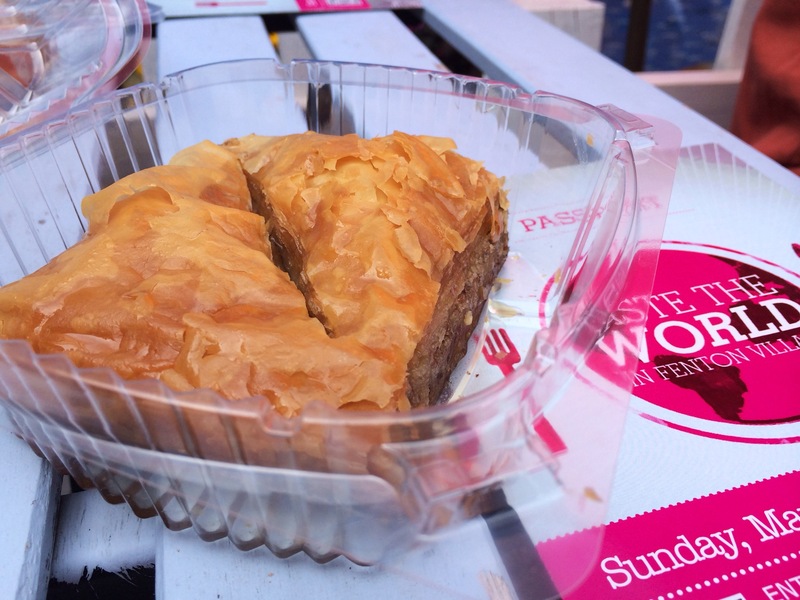 Taste the World in Fenton Village showcases the diversity of 35 restaurants just south of downtown Silver Spring. Visitors get a table-hopping, globe-trotting experience with musical entertainment by Aaron Gage, Stealing Liberty, The Tony Grass Band and more all afternoon. Pick up a free map and “passport” then take a self-guided tour of the restaurants including Abyssinia Restaurant, Bibim, Fire Station Restaurant, Ghar-E-Kabob, Golden House, Italian Kitchen, Kefa Café, Lesaac Ethiopian Café, Lotus Café, Mandarin Restaurant, The Greek Place and more. Sample appetizers and tasting plates from each restaurant for $2-$5 in the actual restaurants. Get three stamps on your “passport” and you are eligible to enter a raffle at 5:30 p.m.
May 15 from 1-5 p.m. in Silver Spring’s Fenton Village, 8204 Fenton St. Admission is FREE, but bites at participating restaurant cost $2-$5 each. Chefs from 17 D.C. restaurants including Del Campo’s Victor Ibisu, The Arsenal at Blue Jacket’s Marcelle Afram, Brasserie Beck’s Dean Dupuis, Rappahannock’s Dylan Fultineer, Alta Strada’s Michael Zentener, Nonna’s Kitchen’s Will Artley and Sixth Engine’s Kyle Bailey compete to create the best lamb dish at Lamb Jam benefiting D.C. Central Kitchen. The winner will compete for the title of Lamb Jam Master against the winners of four other regional competition in San Francisco, Seattle, Austin, Texas, and Boston. 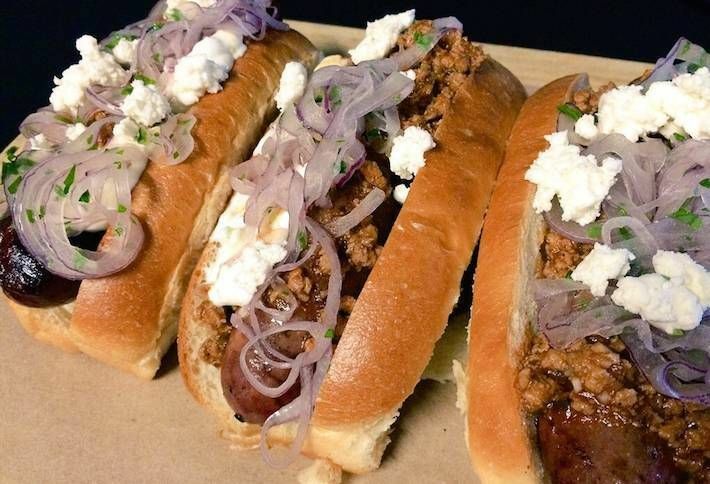 Pair the lamb bites with local beers, wines and spirits. There will also be a DIY spice rub bar, a butcher demonstration and an interactive photo booth. 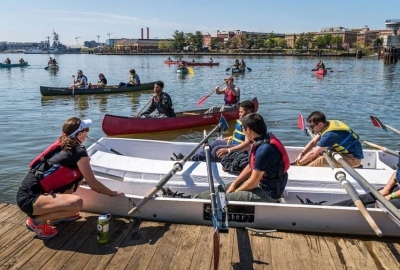 May 15 from 3-6 p.m. at Dock 5 at Union Market, 1309 Fifth St. NE. Tickets are $60.